Looking for an XCS Superpost ideally within USA. 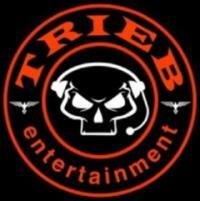 Email me: Trieb@me.com Thanks! What Will said. I've done the same. Please contact me if you have one you'd like to sell: trieb@me.com Thanks! Can this Monitor accept Standard Def video signal? Would be great to use as program return monitor and record line cuts. I tried the Exo at NAB last year and didn't find it particularly comfortable. Flash forward to another test at the recent Stabilizer Expo and wow...the evolved design was super comfortable. I was surprised and impressed. I've always had pain in a front mount (to be fair, I haven't flown a PRO harness for longer than a few mins which wasn't measured to my body), and have been loving my Klassen Harness for many years now, which causes me no discomfort and allows me to operate at great lengths with zero soreness. The Exo gave me a similar feeling to the back mount. To be fair I didn't fly it for more than 5 minutes, but for me that's long enough to see if it feels funky. I would definitely recommend considering this harness. We all have different body types with different strengths and weaknesses. It's cool to have another option which may help us fly the rig in a physically comfortable zone. Steadicam rental in Rome, Italy??? Cinetronic 2nd Gen monitors are shipping!